Eliza Simpson - Wedding P.A. There is no pre-recorded background scene music throughout the film. All music heard in the film is performed live on screen. Continuity: When Kym and Rachel are talking as Rachel is trying on her dress, Rachel bends down to the floor and her arm disappears from the shot, in the next shot Rachel's side is visible again as if she had stood up instantly. In every actor's career there comes a moment where the critics and audiences rally around jumping for joy about how they've just witnessed a breakthrough performance. As stunning as these performances are, the term "breakthrough" always felt a little out of place to me since it's only on rare occasions the actor in question is relatively new. Most times they are people who have been pounding the boards and scraping the screen for years. In those terms, the breakthrough is nothing more than a large group of people seeing that actor in a new light for the first time, mostly in something they never imagined before. 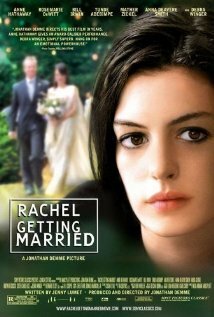 Now the newly colored spotlight falls on Anne Hathaway and her powerful turn as Kym in Rachel's Getting Married. The film is a slice of life piece detailing a small space of time, only a few days, where Kym returns home from a rehab clinic just in time for her sister Rachel's wedding. 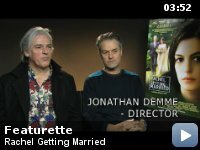 Anyone who has ever taken part in arranging a wedding, especially one taking place in the family home, knows the extreme stress already present, so toss a young, partially unstable girl into the mix and top it off with a nice coating of family denial and dark skeletons in the hallway closet, then you get the full picture of this film. Relationships are strained, ties pulled so tight and taut they could snap and still they try to work it out through screaming, laughing and crying (not necessarily in that order). After all, it's about a wedding, who's not happy at those? 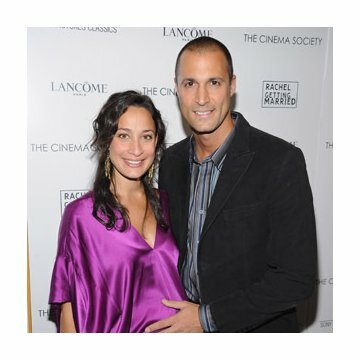 Before giving Anne her due credit, let me shed some light on someone most people won't know off the top of their heads. Rosemarie DeWitt plays the title role of Rachel and she does it with the utmost tenderness and subtlety. What she brings across is the inherent hatred, resentment and unending compassion sisters can feel for each other, even through the worst of storms. With a film more comfortable in the category of "ensemble piece", Rosemarie is the catalyst and pushes the energy along, changing and charging every one of her scenes. 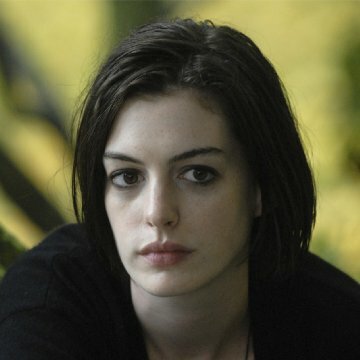 But the light shines brightest on Anne Hathaway as Kym, the ex-junkie, ex-alcoholic, ex-return rehab patient bordering on becoming an ex-family member. Audiences claim this as a breakthrough performance because they fell in love with Anne in The Princess Diaries movies, Ella Enchanted and the wonderfully wicked The Devil Wears Prada. Yet what they might not remember is she's played rougher, tougher roles in Havoc and Brokeback Mountain, showing the more mature and adult side of her skills. So I wasn't all that shocked to witness the brilliance she brought to this film, but I will celebrate it all the same. Anne jumps in and exposes a vulnerability, a cavern of pain and lost love, which drives the emotional core of the picture. From opening credits to the closing moment, she is the elephant in the room everyone must deal with and the magical point is this is the first time where the audience can begin to empathize with the elephant and not the onlookers. I can't end the acting portion of this review without bringing up Bill Irwin and Debra Winger as well. Bill plays her father and churns out a tenderness only an accomplished actor such as himself could generate. There are such small moments, such tiny fractures in his facade which allow you to peer into the heart of a man trying to choose between his greatest love and his greatest loss. On the other side, Debra Winger plays her mother, who has chosen to block out the pain in her past and skate by the rest of her life, allowing the blackness and hurt to fester and suffocate any chance at a real connection with her daughters. As you can read, the acting on display here is sensational and will undoubtedly be remembered during awards season. As a total film, I'm not sure the story reaches the same heights. A lot of great scenes and spectacular moments are created, but the story lacks cohesion. A particular subplot about the family and its deep love for music is mentioned and referred to over and over, but never fully explained or explored, which weighs down later scenes during the wedding celebration and the overlong musical sequences. During most of the musical moments, all I really wanted was to get back to the story, back to the family and to Kym. Also, the connection between Rosemarie and her soon-to-be husband Sydney (played by Tunde Adebimpe) never quite comes across. There is a wonderful moment during their wedding vows, but it could have been helped even more if their relationship had been more centered earlier on. On the directing front, Jonathan Demme, with the assistance of a touchingly tender script from Jenny Lumet, helps craft a reality we can all believe in, a home we can all feel we've been to before. Much of this intimacy and nuance came from the free form style of camera movement, with the actors never knowing where and when the camera was going to appear on them. Everyone was basically playing everything from the moment he yelled action, so there were emotional surprises around every pan of the camera. That technique gave the movie a certain level of improv or even documentary feeling, like the audience was the most silent of voyeurs. Recommendation: A powerful series of moments, filled with terrific acting, that don't quite come together as a film. Certainly has great value to witness, but the theater experience might not be necessary. Also, this really is meant for those viewers not afraid to open themselves up to it.